Fan Forum > General Discussion > Celebrities > Jennifer Connelly #2 - "I try to stay focused on my life and do try not to be brought into the Hollywood fantasy." Jennifer Connelly #2 - "I try to stay focused on my life and do try not to be brought into the Hollywood fantasy." 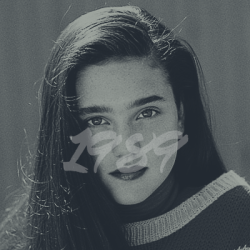 Jennifer Connelly was born in the Catskill Mountains, New York, to Ilene (Schuman), a dealer of antiques, and Gerard Connelly, a clothing manufacturer. Her father had Irish and Norwegian ancestry, and her mother was from a Jewish immigrant family. Jennifer grew up in Brooklyn Heights, just across the Brooklyn Bridge from Manhattan, except for the four years her parents spent in Woodstock, New York. Back in Brooklyn Heights, she attended St. Ann's school. A close friend of the family was an advertising executive. When Jennifer was ten, he suggested that her parents take her to a modeling audition. She began appearing in newspaper and magazine ads (among them "Seventeen" magazine), and soon moved on to television commercials. A casting director saw her and introduced her to Sergio Leone, who was seeking a young girl to dance in his gangster epic Once Upon a Time in America (1984). Although having little screen time, the few minutes she was on-screen were enough to reveal her talent. Her next role after that was an episode of the British horror anthology TV series Tales of the Unexpected (1979) in 1984. After Leone's movie, horror master Dario Argento signed her to play her first starring role in his thriller Phenomena (1985). The film made a lot of money in Europe but, unfortunately, was heavily cut for American distribution. Around the same time, she appeared in the rock video "I Drove All Night," a Roy Orbison song, co-starring Jason Priestley. She released a single called "Monologue of Love" in Japan in the mid-1980s, in which she sings in Japanese a charming little song with semi-classical instruments arrangement. On the B-side is "Message Of Love," which is an interview with music in background. She also appeared in television commercials in Japan. She enrolled at Yale, and then transferred two years later to Stanford. She trained in classical theater and improvisation, studying with the late drama coach Roy London, Howard Fine, and Harold Guskin. The late 1980s saw her starring in a hit and three lesser seen films. Amongst the latter was her roles in Ballet (1989), as a ballerina and in Some Girls (1988), where she played a self-absorbed college freshman. The hit was Labyrinth (1986), released in 1986. Jennifer got the job after a nationwide talent search for the lead in this fantasy directed by Jim Henson and produced by George Lucas. Her career entered in a calm phase after those films, until Dennis Hopper, who was impressed after having seen her in "Some Girls", cast Jennifer as an ingénue small-town girl in The Hot Spot (1990), based upon the 1950s crime novel "Hell Hath No Fury". It received mixed critical reviews, but it was not a box office success. The Rocketeer (1991), an ambitious Touchstone super-production, came to the rescue. The film was an old-fashioned adventure flick about a man capable of flying with rockets on his back. Critics saw in "Rocketeer" a top-quality movie, a homage to those old films of the 1930s in which the likes of Errol Flynn starred. After "Rocketeer," Jennifer made Career Opportunities (1991), The Heart of Justice (1992), Mulholland Falls (1996), her first collaboration with Nick Nolte and Inventing the Abbotts (1997). In 1998, she was invited by director Alex Proyas to make Dark City (1998), a strange, visually stunning science-fiction extravaganza. In this movie, Jennifer played the main character's wife, and she delivered an acclaimed performance. The film itself didn't break any box-office record but received positive reviews. This led Jennifer to a contract with Fox for the television series The $treet (2000), a main part in the memorable and dramatic love-story Waking the Dead (2000) and, more important, a breakthrough part in the polemic and applauded independent Requiem for a Dream (2000), a tale about the haunting lives of drug addicts and the subsequent process of decadence and destruction. In "Requiem for a Dream," Jennifer had her career's most courageous, difficult part, a performance that earned her a Spirit Award Nomination. She followed this role with Pollock (2000), in which she played Pollock's mistress, Ruth Klingman. In 2001, Ron Howard chose her to co-star with Russell Crowe in A Beautiful Mind (2001), the film that tells the true story of John Nash, a man who suffered from mental illness but eventually beats this and wins the Nobel Prize in 1994. Jennifer played Nash's wife and won a Golden Globe, BAFTA, AFI and Oscar as Best Supporting Actress. Connelly continued her career with films including Hulk (2003), her second collaboration with Nick Nolte, Dark Water (2005), Blood Diamond (2006), The Day the Earth Stood Still (2008), He's Just Not That Into You (2009) and Noah (2014), where she did her second collaboration with both Darren Aronofsky and Russell Crowe and made her third collaboration with Nick Nolte in that same film. Jennifer lives in New York. She is 5'7", and speaks fluent Italian and French. She enjoys physical activities such as swimming, gymnastics, and bike riding. She is also an outdoors person -- camping, hiking and walking, and is interested in quantum physics and philosophy. She likes horses, Pearl Jam, SoundGarden, Jesus Jones, and occasionally wears a small picture of the The Dalai Lama on a necklace. Her favorite colors are cobalt blue, forest green, and "very pale green/gray -- sort of like the color of the sea". She likes to draw. It is a cool pic! Thanks for this thread. I didn't know she was in Top Gun 2. Fun! It'll be interesting to see her and Tom together. Agreed cannot wait for the trailer!